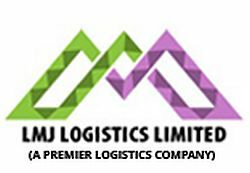 » Listings » Logistics Service Providers - 3PL » LMJ Logistics Ltd.
LMJ Logistics Limited, a leading full-service contract logistics company has taken supply chain strategies to new heights. With over 20 years of experience, LMJ offers comprehensive logistics services under one roof.This Multi-Location and Multi-Facet Public Limited Company has delved into all the odds and evens of the industry to come out with the most innovative, focused and opposite strategies. The dexterity,with which LMJ handles the supply chain, makes it enjoy the reputation of being the best company that provides total integrated logistics solutions and services. At LMJ, the quest to grow more, to acquire more and to touch the sky is ubiquitous. LMJ provides a gamut of services through its direct and active presence in CFS/ICDs, Mega Food Parks, Logistics Hub, Project Logistics, Equipment Hiring, Transportation and Warehousing by maintaining benchmarked quality standards across its services and facilities. Our expertise and know how makes us the ultimate economic service provider for your Logistics & Supply Chain Solutions.